Each of our weathervanes is hand made by Graham in his workshop set in the Dorset countryside. Graham hand scribes each design onto the surface of the steel with a precision etching tool, creating an outline to follow as he cuts the silhouette design. 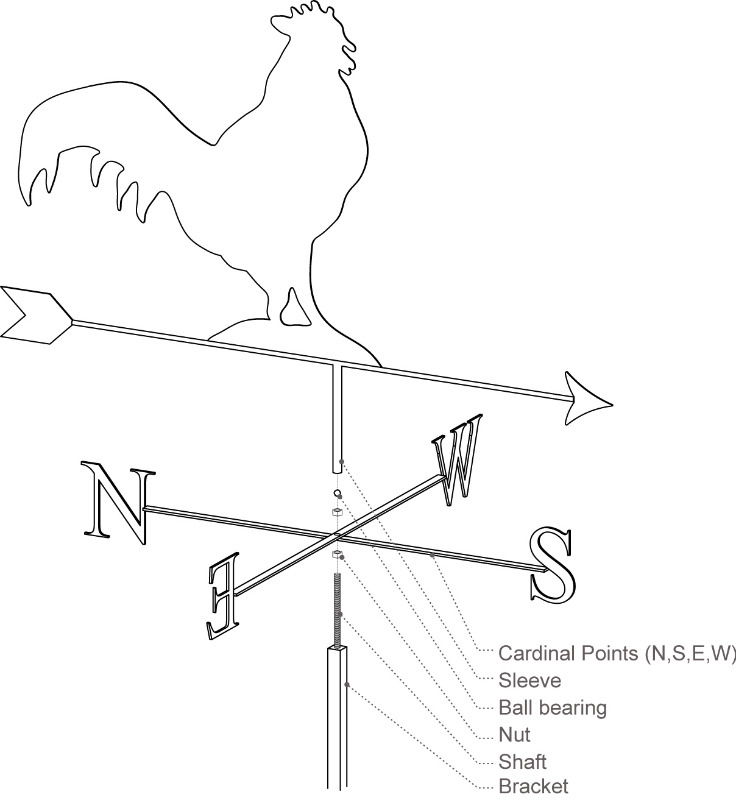 The arrow is then welded to the hand cut vain and welded to the sleeve to create the directional kinetic part of the weathervane.The sleeve sits down over a precision made shaft, which revloves on a ball bearing. Each of our weathervanes is hand made from sixteen gauge mild sheet steel, which is then zinc plated and powder coated to make them very hard wearing. We offer galvanizing as an optional extra. The weathervane finish is still gloss black, but the steel has been hot-dipped before finishing to create an extra hard wearing coat under the paint. This is highly recommended for coastal areas, or locations prone to metal deterioration. Although we focus on black silhouette designs for our weathervanes, we also have alternative materials available. If you're interested in Brass, Copper, or Bronze weathervanes please contact us.